I’m still wrapping my head around little Lewis’ birth. It was a moving experience beyond anything else I’ve ever photographed. 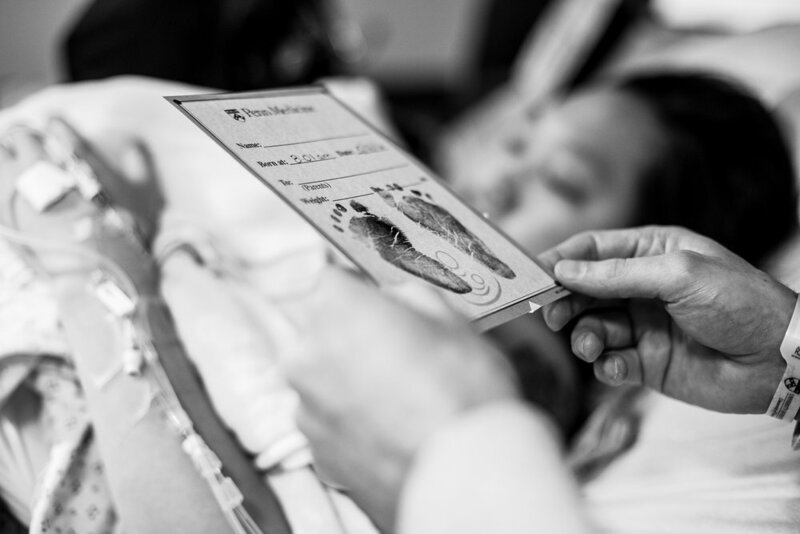 Christina went into the hospital a few days after her due date and began the induction process. Her husband, Eli, and I had been texting all day to get updates on the situation. I went to bed that night with my clothes on. My camera had been in the car and ready for the past two weeks. At 12:12am I got the text to come in. “8cm dilated. Things happening.” I was already out the door and on my way when he sent the next one, “Drive carefully. Things are happening, but not HAPPENING!!! Ok?” I was minutes away from the hospital campus by then. I walked in to find a tired but happy Christina and Eli (a.k.a. “Turtle” and “Batman”). She was hooked up to lord knows how many fluids and shifting around a bit while being occasionally prodded and monitored. This baby wasn’t interested in making much more progress so we tuned in and out to a movie, watched the needle dip and rise through the contractions, and talked about babies and how life would never be the same. Around 5am, it was time for legit pushing. Active labor was intense. Christina and Eli were a beautiful team. 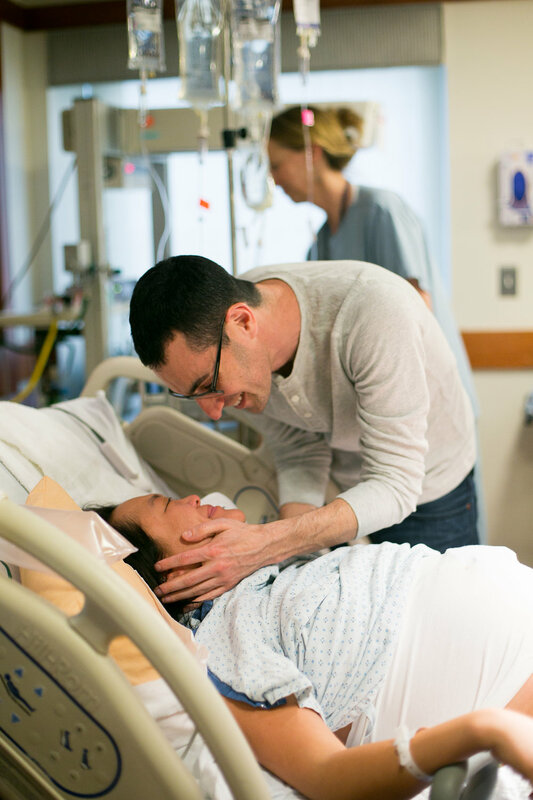 There were kisses, back rubbing, words of encouragement, tears, strain, laughter, and concentration as this baby got ever so closer to life on the outside. Despite 3 hours of pushing, we were still down one tiny person. A few more rounds of big, strong pushes and a little help from the forceps and there he was. Lewis. He came out crying with a head full of black, curly hair. They placed him on Christina. She was crying. Eli was crying. I was crying. They cleaned him off and took his footprints while I went to the waiting room to tell the new grandparents that a new family member had arrived and that he was perfect. I stayed to witness the tears and happiness as they met their new grandchild. And I stayed while Christina and Eli took in their son. Eli compared the baby’s ears with Christina’s and they just stared at him. This tiny, squirmy human that they had made. I went home elated and exhausted (though that’s pretty relative considering what Christina just went through). We are all so happy to meet you, little Lewis. Welcome to the world! 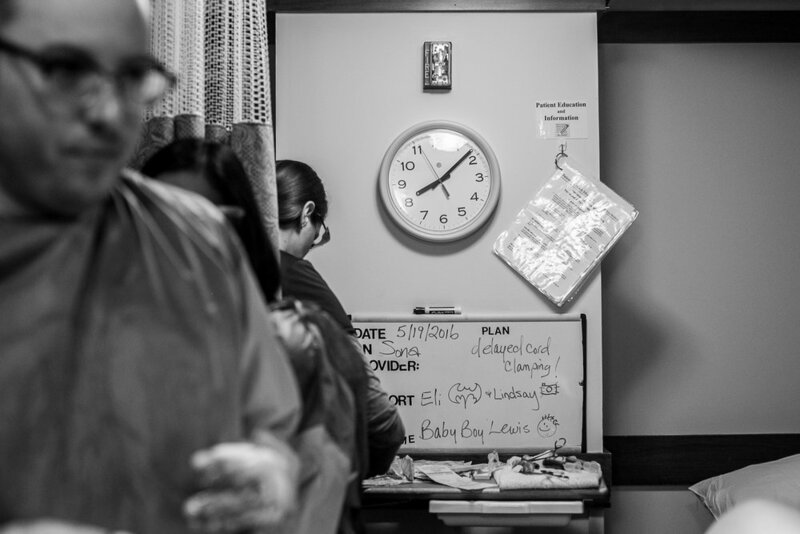 We have a toolkit specifically for doula-togs, doulas and birth photographers. Take a look at it here.